The Chevy Suburban has changed drastically since its introduction in 1935. Back then, it looked more like a station wagon built on a truck body. It was built specifically as a small transport vehicle for outfits such as the National Guard. The 2019 Chevy Suburban, however, has grown with the times. While it is still a transport vehicle built on a truck body, it looks vastly more modern and updated than its great-grandfather. With seating of up to nine, it is still a very large Sport Utility Vehicle designed to carry all your friends, family, pets, book bags, groceries and then some. The interior is extremely spacious and the safety designations are extensive. These and many other features make the 2019 Chevy Suburban an ideal vehicle for large families. Starting at $50,600, the 2019 Chevy Suburban is primed to be your next home on the road. It features tons of infotainment and safety features to keep you and yours safe and entertained for road trips or sitting in the drop off/pickup line at school. It also has plenty of juice for weekend excursions, especially if you need to tow a boat, camper or other outdoor equipment. Read on to find out more about the engine options, interior space and safety features of the 2019 Chevy Suburban. When you’re done, head over to Carl Black Chevrolet in Nashville and check out this beast of a vehicle for yourself. The 2019 Chevy Suburban features two different engine options, both of which are large and powerful enough to support heavy hauling and towing. This is an attractive quality to have in a large SUV, as prospective buyers of vehicles like the 2019 Chevy Suburban need lots of space and power. The first engine option is a 5.3-liter V8 engine, capable of up to 355 horsepower and 383 lb-ft of torque. This is paired with a six-speed transmission. That’s enough power to tow up to 6300 pounds. So, if you have a weekend excursion that requires towing a boat or an RV, the 2019 Chevy Suburban can get you there with power to spare. However, the 2019 Chevy Suburban offers an even more powerful engine. The higher trim levels come with a 6.2 liter V8 that has even more oomph under the hood. This larger engine gets 420 horsepower and 460 lb-ft of torque. This higher torque ratio allows for the Suburban to get up to a suitable speed, even though it can tow up to 8300 pounds when combined with the trailering package. That’s the equivalent of ten average jet skis, ten average ATVs AND a 200-pound aluminum trailer, with room to spare. You might have to pack more than 8 of your friends into the 2019 Chevy Suburban. One of the more intriguing bits of technological engineering genius that is implemented in the 2019 Chevy Suburban is called Magnetic Ride Control. This technology seamlessly and constantly reads the road and makes adjustments every few milliseconds to the suspension to make the handling and ride as smooth as possible. It is particularly effective in cornering and making sharper turns but also adjusts to cruising speeds just as easily. 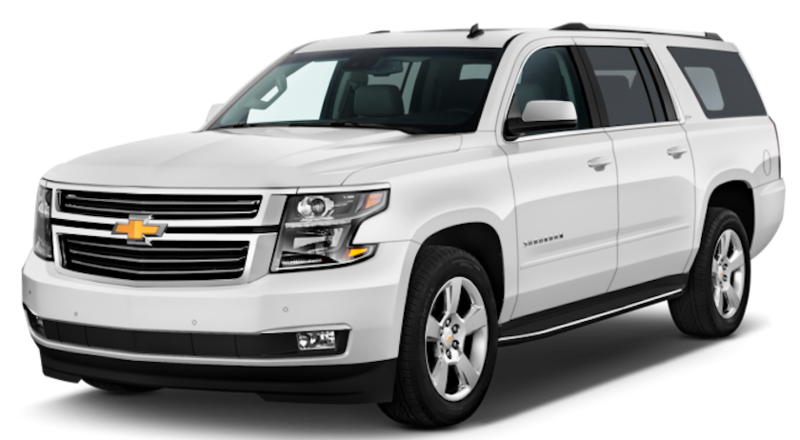 The 2019 Chevy Suburban isn’t known as one of the largest SUVs on the road for no reason. Not only is its 223-inch body a powerful and physically imposing force, but its interior is also just as cavernous as its exterior. The front seat features 42.8 inches of headroom, 45.3 inches of leg room and 60.8 inches of hip room. That is plenty of room for pretty much anybody of even above average height to stretch out comfortably. The second row is similarly roomy, with 39.1 inches of headroom, 39.7 inches of leg room and 60.3 inches of hip room. The third row has 38.5 inches of headroom, 34.5 inches of leg room and 49.3 inches of hip room. All that equals comfortable, roomy seating for eight adults, and even more room for kids. Be careful, though. If your friends find out how roomy and comfortable your ride is, you’ll be doing all the driving. As far as cargo space goes, the 2019 Chevy Suburban does not disappoint. Behind the third row of seats, the cargo area is 40 cubic feet of space. That is more than enough for the day to day grocery shopping or light work materials transport. When the third seat is folded down, that number jumps up to almost 77 cubic feet. You’ve now got more room for larger work projects, home renovation materials, very large pets and plenty of other things that need to be hauled around. When the second seat is folded down, that number climbs to a staggering 122 cubic feet of space. You now have room for some things that might require a trailer. Again, though, be careful. When your friends find out how spacious your new 2019 Chevy Suburban is, you will probably be helping them move at some point. The Chevy Suburban has continually been given high marks for safety by the National Highway Traffic Safety Administration. The 2019 Chevy Suburban is no different. In addition to the high marks, this SUV features a ton of available and standard safety features. Some of these include airbags all around the vehicle for front and rear seat passengers, Anti-Lock Brakes, Traction Control, Stability Control, and a Back-Up Camera. Traction Control and Stability Control are implementations that help the driver maintain control of the 2019 Chevy Suburban under certain conditions. Traction Control helps when the road conditions are less than ideal, such as wet or slippery roads, or on a surface such as gravel or sand. These conditions could make maneuverability difficult, especially with such a large vehicle. Traction Control helps keep the driver in control of the vehicle by sensing these adverse conditions and automatically making minute adjustments. Similarly, Stability Control helps stabilize the vehicle in the event the driver begins to lose control. Because of the nature of the 2019 Chevy Suburban and it being so big, some drivers may find it difficult to see out the back of the vehicle. And with such a large SUV, that could cause serious damage if the Suburban struck another object. The Back-Up and Rear-View Camera options allow the driver to view what is behind the 2019 Chevy Suburban via the dashboard monitor. The camera is located near the license plate allows for a full view of the area immediately behind the vehicle. This could be a potentially life-saving feature. Another additional feature that has become popular in recent years is the Teen Driver Program. When this feature is activated, it puts restrictions on what the 2019 Chevy Suburban can and cannot do. For instance, the radio will not be accessible until seatbelts are fastened. It can also email a detailed account of the driving habits of the driver in the drivers’ seat when activated. These extras give parents peace of mind when their children are out driving at a young age. These are only a few of the dozens of available safety features on the 2019 Chevy Suburban. See our sales staff at Carl Black Chevrolet for a more detailed list of safety and infotainment features. 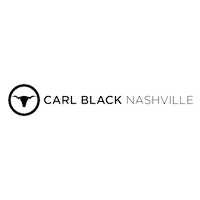 Visit Us at Carl Black Nashville! Drivers in and around Nashville, Tennessee, are welcome to come check out the 2019 Chevy Suburban at our lot on Murfreesboro Pike. You can check out this huge SUV and all the trim levels it offers. You can see the expansive interior for yourself, see the huge engines under the hood, and see all of the safety features in action. Our sales team has all the information you need, from all the dimensions inside and out to the full list of safety and infotainment features. We are dedicated to giving you the best possible experience, and that includes giving you a full tour of the 2019 Chevy Suburban. When you’ve made a decision on this beautiful SUV, our finance team is here to help you through the process of financing a new vehicle purchase. Whether leasing or buying, we have several finance options we can offer you, and we have the amazing finance team to get you through every step. When the time comes for regular maintenance, we have the team for that, too. Our licensed service technicians know the ins and outs of all of our vehicles and treat your brand new 2019 Chevy Suburban like it is one of their own. We can set you up with a maintenance schedule to make sure that your 2019 Chevy Suburban is running at optimal performance for years to come. If you can’t make it down right away, feel free to peruse our online inventory in our virtual showroom. It is open 24 hours a day and has all the information on trim levels, specifications, prices and much more. We look forward to your visit and to be able to show you the amazing 2019 Chevy Suburban in person!